Samsung Galaxy S7 Active spotted at GFXBench, 5.5" display? 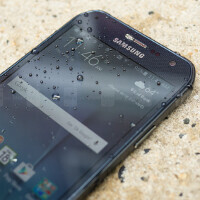 Samsung has been well known for launching a rugged version of its flagship Galaxy S smartphones for a while now. The smartphones in question are mambers of a parallel Galaxy S Active line and, while not as pretty, are supposedly much more capable of surviving rough usage and drops. Whether the Galaxy S7 was going to get an S7 Active sibling was still up in the air until late March, when Samsung indirectly confirmed it via a listing. We've also recently seen a leaked photo of what the handset's back panel would allegedly look like – a rubber-protected, camouflage-patterned cover, just like the one on the old Galaxy S6 Active. 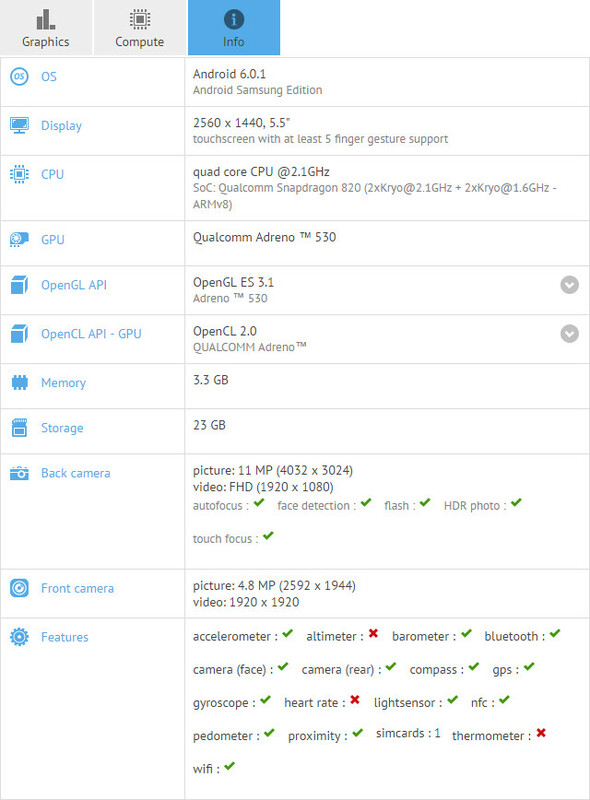 Now, a GFXBench listing has leaked, showing us the specs of the rugged handset. Unsurprisingly, the hardware inside is the same as the one on the Galaxy S7 – Snapdragon 820, 4 GB of RAM, the same camera and so on. On the screen, we have the same QHD (1,440 x 2,560) resolution, but the display's diagonal is up to 5.5”, from the 5.1” of the regular S7. This most probably means a larger body and, hopefully, a larger battery – maybe as large as the 3,600 mAh juicebox inside the Galaxy S7 edge? Now, while the Galaxy S7 and S7 edge both have dust and water ingress protection, the Active traditionally boosts that up a few notches. Supposedly, we are to expect military-grade MIL-STD-810G protection, which means altitude pressures, shock, and salt wouldn't be able to harm the device. We still can't be sure when exactly the Galaxy S7 Active would launch, but we would assume it would be a rather silent affair, sans the fanfares and red carpet that's laid out for the flagship Galaxy S series. Thanks for the tip, Roland! Samsung would sell these like hotcakes if they made it available across all carriers. agreed but sadly they wont. How will the S7 Active be any different than the S6 Active design wise? aside from the screen size. Personally i dont really care as long as its not made of brittle glass. Those hardware buttons are hideous. Why dont they ditch those for on-screen buttons... since they already lost the iconic middle home button. No buttons means less ways for water to enter the phone. Physical home buttons are more reliable when wet. What about Note 6 Active? that would be beast. Is no one going to question the 11mp camera with 1080p recording?